Winter is coming. What's that you're telling me, readers? It's April? Well spring may have sprung, but if you live in western North Carolina you are well aware that there's always a chance our weather patterns may not have received that memo. After all, didn't the Blizzard of ’93 happen in March? And with ever-changing weather patterns, I don’t think any of us would be too surprised to see some snow come down in April (we're knocking on wood, Mother Nature!). 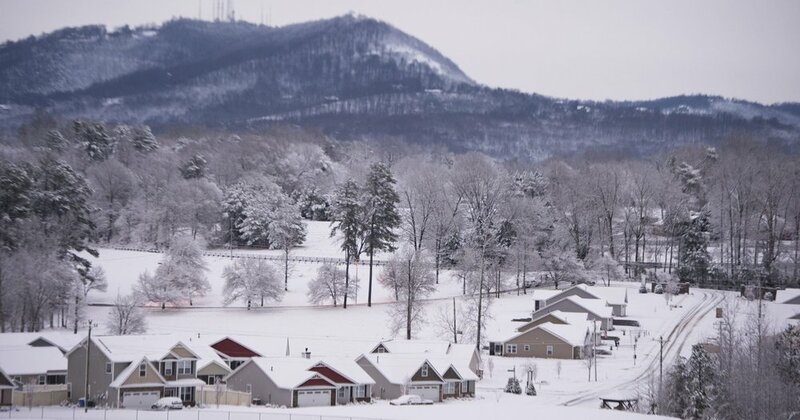 This snow, while beautiful to look at, could potentially lead to issues for homeowners. Alarmist rhetoric aside, let’s say the snow and ice is behind us for the season, that we can finally dust off those shorts and flip-flops. One thing we can count on is that winter will always return, and with it will come snow and ice to some degree. Recent winters have proven to be wetter than ever, with Asheville alone receiving a record total of nearly 11 inches this December. While we mostly saw this in the form of rain, all it takes is one heavy snowfall to possibly cause issues around the home. While many people may only think of snow and ice affecting travel, or perhaps harming plants and/or plumbing, have you ever thought about what this winter precipitation can do to your roof and even the drainage system in place at your home? Particularly if you have a metal roof? Metal roofs can be a beautiful addition to your home, but let’s explore what can happen if it is not adequately prepared for winter precipitation. When snow and ice covers a roof comprised of your standard “grit” style shingle, you don’t typically see much of an issue. The grit of the shingle acts as a sort of grip, if you will, keeping much of the snow in place as it melts. But our friends with metal roofs, well…let’s just say they aren’t so lucky. When snow melts on a metal roof, all of this will start to slide down at a fairly rapid speed with nothing to really slow it down. And what happens with all of this potentially heavy snow? You guessed it, the sheer weight of this will hit your roof’s drip edge, its fascia, your gutters, and so on. Many homeowners in our area experienced this first-hand this winter, as our office fielded many calls describing bent gutters, or those that were pulling away from the home - we hear you loud and clear, and we are prepared to help! Enter Snow Brakes. 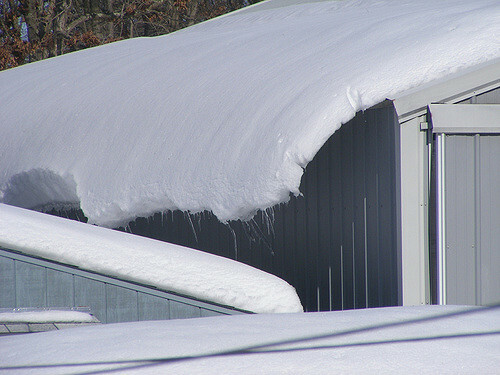 A Snow Brake, also commonly referred to as a Snow Guard, Snow Rail or Snow Fence, is a device installed on a metal roof designed to catch this snow as it starts sliding down the roof. When the heavy snow is stopped or at least slowed down, this greatly reduces the chances of it causing damage to your gutters and roof, not to mention it potentially falling on you or your family as you walk out your door! These Snow Brakes have been around for many years in regions that receive lots of snow but are lately becoming more common in more temperate regions such as ours because of the costly damage they can prevent - after all, your home is your investment, right? Let’s take a look at the various Snow Brake options to determine which might be best for your home. Your specific style of metal roof will be the most important determining factor when deciding which Snow Brakes are right for your home. Braced Bar-Style Snow Brakes, for example, are used on standing-seam metal roofs. These fasten onto the seam of the roof so as to not penetrate the waterproof barrier these roof systems supply. 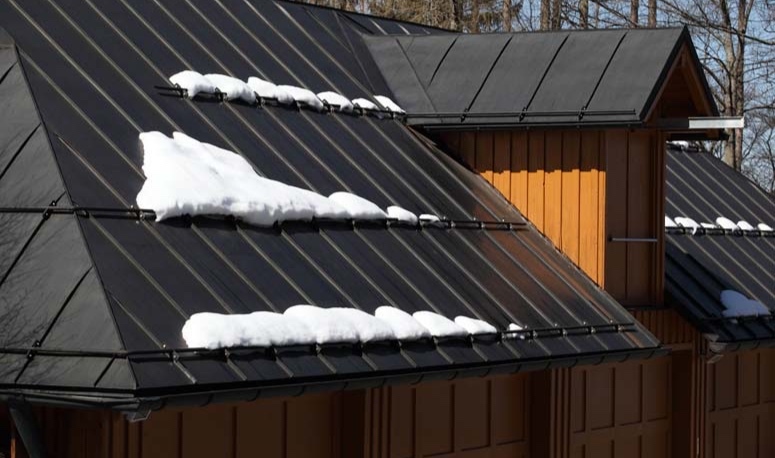 Braced Bar-Style Brakes are very helpful for controlling snow runoff if you have a standing-seam roof, and they are essentially the only type of Snow Break that will work for this roof style, but these roofs are a bit less common in general due to the high cost of installation and repair. Another type of Snow Brake is the Mounted Butterfly-Style Brake. These are smaller individual devices attached to the roof in a pattern designed to add friction to hold ice and snow in place. 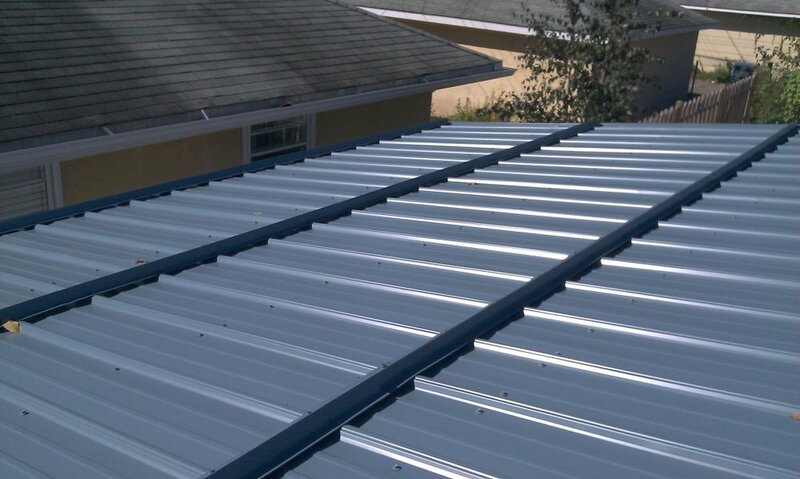 These can be installed on both corrugated and traditional metal roofing. Mounted Butterfly-Style Brakes are effective, but can be expensive depending on how many are needed. The style of Snow Brake that Higher Ground recommends in most cases, should your roof type allow for it, is the Continuous Bar-Style Snow Brake. This is a very strong snow retention system used on steeper roofs and on roofs where even small releases of snow could damage property or cause harm. This system is fastened through the roof surface to the underlying roof sheathing or framing structure providing advanced durability. These Continuous Bar-Style Brakes can also be installed on both corrugated and traditional metal roofs, and they are a strong choice from a financial standpoint as well. 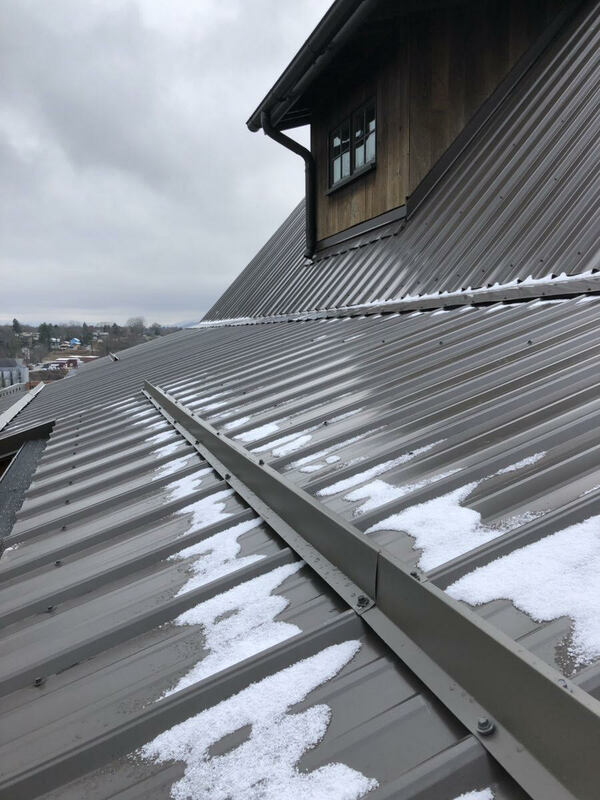 A metal roof can be a beautiful addition to your home, but if you don’t consider the potential effect of melting snowfall on your roof and drainage system you could be in for a world of hurt, or at least costly repairs and/or replacement down the road. Here at Higher Ground Rainwater Systems of Asheville we take a proactive approach to home maintenance, and we recommend you do the same. We install all three types of snow guards as described, and we would be happy to help with this "insurance" for your home. Contact us now for more information and an estimate, and protect your investment before winter returns once more.